"Cap Brun" Toulon set of 2 houses with studio 120 and 60 sqm pool. 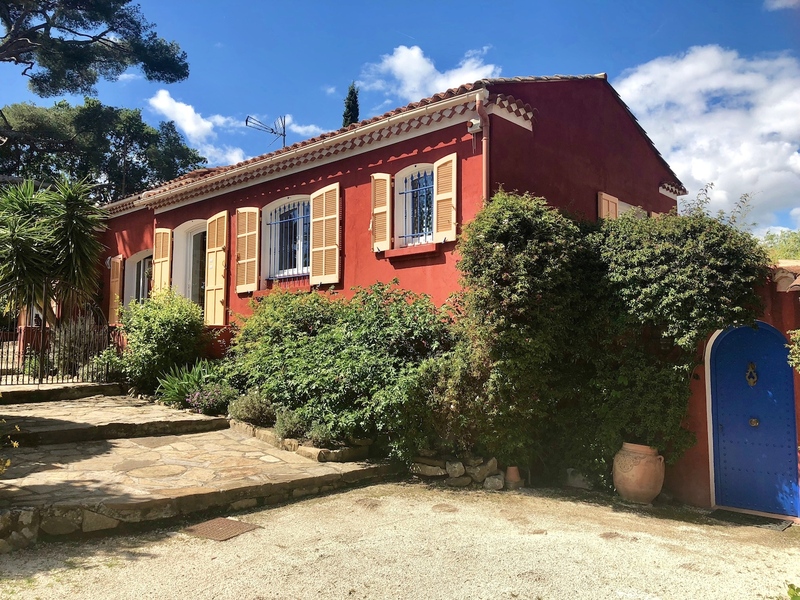 In the legendary district of Cap-Brun at the gates of Mourillon and a few minutes from the city center this property offers a setting that exudes elegance and happiness of living. The interior decorator owner to bring her recognized know-how to the layout and decoration of this property, the different atmospheres add to the originality of the place. Many details show their particularity, fireplace, bathrooms, dressing room, all rooms have been the subject of unique attention. The garden and pool area is the third house in this complex, its summer dining room, the Moroccan-style pool and its fountains offer a total change of scenery that contrasts with the ultra contemporary design of the main house. Around the pool many small reading rooms, tanning or aperitif have been arranged. The guest house which also gives on the pool area is completely independent. All benefits from all modern techniques (electric gate, alarm, double glazing, air conditioning, heat pump, automatic watering, solar hot water). Parking covered two cars. The beaches are nearby, Hyères airport 20 minutes, Toulon train station and the city center 10 minutes. It is a real pleasure for us to present this exceptional place of life.